We’ll start with a list of sales and then transition into more of a proper gift guide to cover how you can shop for a photographer friend or for a nice gift for yourself. But to preface these sales, let’s remember a few things about these end-of-the-year deals. 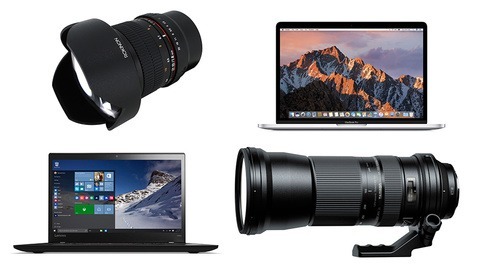 While you can get some amazing discounts, such as $700 or more off Apple MacBook Pros or well over $1,000 off camera kits, keep in mind these “crazy” deals are almost always for previous-generation gear or at least for gear that’s been around for a bit. 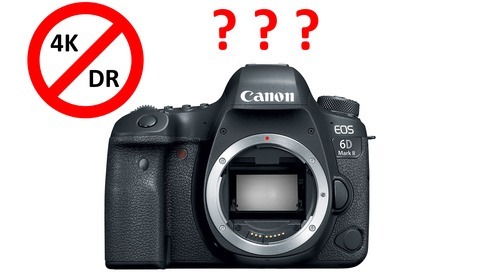 Cameras like the Nikon D810 (recently replaced by the D850) and laptops like the mid-2016 MacBook Pro (recently replaced by the 2017 version) are nicely discounted and may still be well worth the asking price, especially during these sales. But stay vigilant if you care about having the latest and/or don’t want to be disappointed. If you need (i.e. want) the latest gear, you can still get modest and helpful deals that offset sales tax, additional accessories, and more. And if your savings come in the form of a mail-in rebate, don’t forget to help your brain out and set a calendar reminder for those rebate deadlines! As usual, all of the big brands have their deals on bodies, lenses, and more. Nikon’s lens-only rebates can get you up to $200 on some of the most popular and even high-end lenses. Canon’s lenses are up to $300 off. And Sigma and Sony have up to $100-off deals. Add a body and/or grip to get even more savings on Nikon’s most discounted bodies: the D500, D750, and D810. Nikon's newer D850 and D5 cameras aren't discounted. 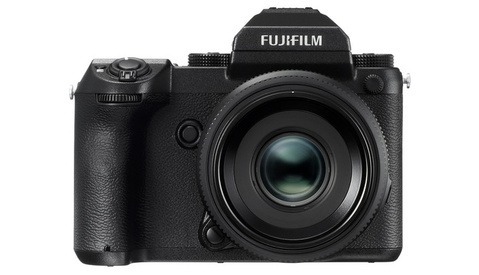 Click on the following links for the latest Canon, Fujifilm, Nikon, Olympus, Sigma, and Sony deals. 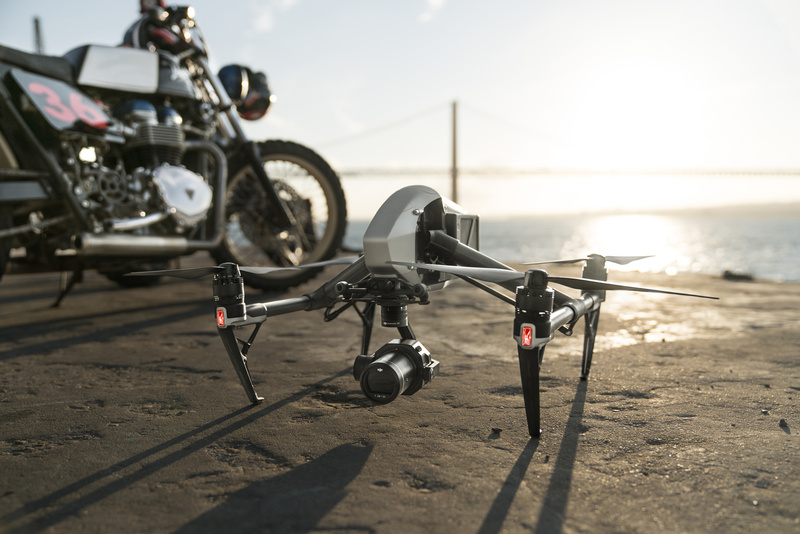 DJI is providing gifts and/or discounts of up to $150 on select products including Spark, Mavic Pro, and Phantom 4 models in addition to the Osmo line and a number of other accessories. Adobe Creative Cloud is fairly uniformly priced, but there are some great deals this time of year, this time lasting through Friday. Right now, you can get Creative Cloud All Apps or All Apps + Adobe Stock plans for $10 less per month, saving 12.5-20 percent for yearly plans paid monthly. As Adobe has grown and shifted its business plan to favor and almost only offer subscription-based software, other companies have been hard at work on their well-priced and full-featured standalone photo editors. Macphum (soon to be Skylum) offers its newly released Luminar 2018 (Mac or Windows) for nearly half off at $69 alongside presets, LUTs, and other educational bonuses for new users. Current users can upgrade with the same bonuses for $49. Those interested in Aurora HDR 2018 with similar bonuses for $10 off at $89. Upgrade pricing is $49. Luminar 2018 will include a free upgrade next year with asset management (i.e. similar to Lightroom’s catalog/asset organization features). Serif’s Affinity Photo has yet to announce any Black Friday deals if there will even be any, but that was also updated this month and is available as a standalone editor for $50. Pixelmator is also 50-percent off at $14.99 and has a flashy new video for their new version that will come out on the 29th. In other news, Pixellu also has some sweet deals on SmartAlbums with up to $100 off, which can make it really easy for you to create amazing albums for your clients. Our very own Nino Batista NBP Lumizone Photoshop plug-in is also available for 50-percent off and just came out, introducing an easy-to-use panel for better high-frequency separation techniques. B&H is shaving up to $1,100 off some of the older Mac Pro models and around $700 off the mid- and higher-end, previous-generation, late-2016 MacBook Pros with Touch Bar. Discounts for current models are closer to the $200 range. PC deals are everywhere, so we can’t include them all here. But this is one of the best times to get massive discounts on any previous-generation equipment and modest discounts on current stock. According to PC World, there are also particularly great deals on AMD Ryzen and Threadripper CPUs for those building their own AMD-based systems. Also, be on the lookout for modest but helpful savings on SSDs to boost your current machines. There’s no reason to be running on traditional hard disk drives these days — at least not for your main drive. There are a lot of studio lighting deals over the holidays, but we’d check out B&H’s extensive list for those online. In fact, the entire Black Friday and holiday deals section on the site is well categorized for anything you’re looking for. Computers and high-end cameras are tough buys as gifts. But that doesn’t mean you’re out of luck with us photographers. We know we’re expensive friends. But here are a few things on the higher and lower ends that might be doable for the right photographer’s friend. If your friend is a film photographer, there are a ton of accessory options from the film itself to cases for film, and more. 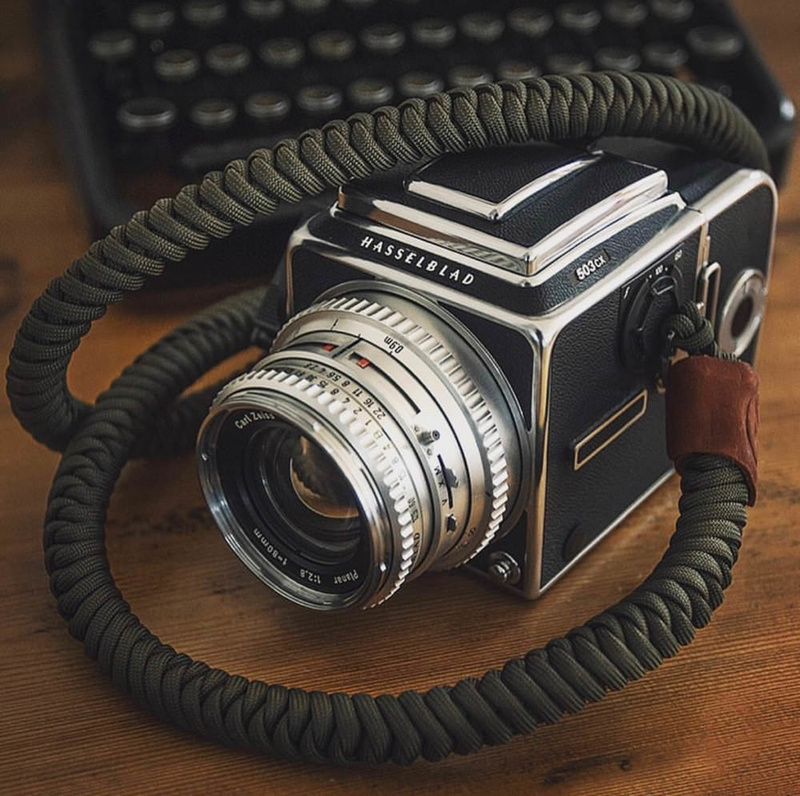 A nice leather or paracord strap is a great way to step it up a notch (try @doragoodman on Instagram, Monarch, and Barton 1972 all for some really special options), but even a roll of special or discontinued film will be very appreciated. A friend recently introduced me to Provia 400x with a roll as a housewarming gift. The film isn’t even made anymore, but eBay is a great place to look for films like that. Some amazing films that are worth gifting include anything that might be more rarely shot. 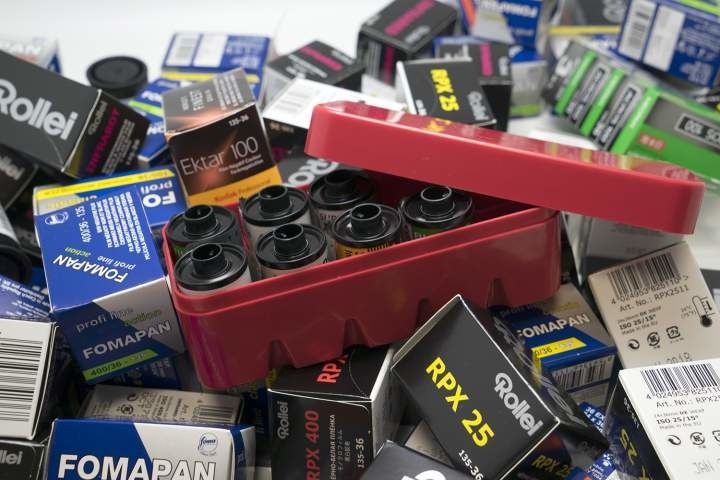 In that category, I would include beautiful film from CineStill, any infrared film, and even some new films released this year alone by companies such as Film Ferrenia and Bregger. The trick is to make sure you get the correct format for your friend’s favorite camera. Odds are it’ll be 35mm or simple 120 for medium format. If you really want to step it up, a membership to Film Carton is $24.99 per month and provides new films for your photographer-friend to try each month. To hold all that, Japan Camera Hunter film cases are something a lot of people kind of want deep down but are sometimes less willing to buy themselves. Even those of us who have a few would never say no to one more. Also, look up local darkroom labs. Sometimes, you can get a gift card for developing or even for classes or rental time of the darkroom itself so your friend can spend some time developing and printing his or her own film. Photo books are hardly ever a bad idea. They’re another kind of gift that can be slightly pricey for the size and quality, but sometimes can be within reason. Still, we’re often hesitant to buy them for ourselves when we could always so many other practical self-gifted items we simply write off. Still, there’s nothing like having the opportunity to flip through an amazing Sebastiao Salgado or Annie Liebovitz book. Try to think of the type of work your friend shoots (fashion, street, documentary, fine art) and simply Google “best [category] photographers of all time.” Odds are, all of those people have amazing books out. Find one you like, too, and share your appreciation as gifting one of those books. Some of us travel a lot. A good leisure book is never a bad idea either. If you enjoy reading or feel like scouring online for some of the year’s best novels, perhaps there’s something worth getting for a friend that can help take their mind off work for a few more hours until they land. We all have too many bags. And we all want more. That just simply comes with the territory of being a photographer. If you want to step it up, a nice bag is always something that will be greatly appreciated. 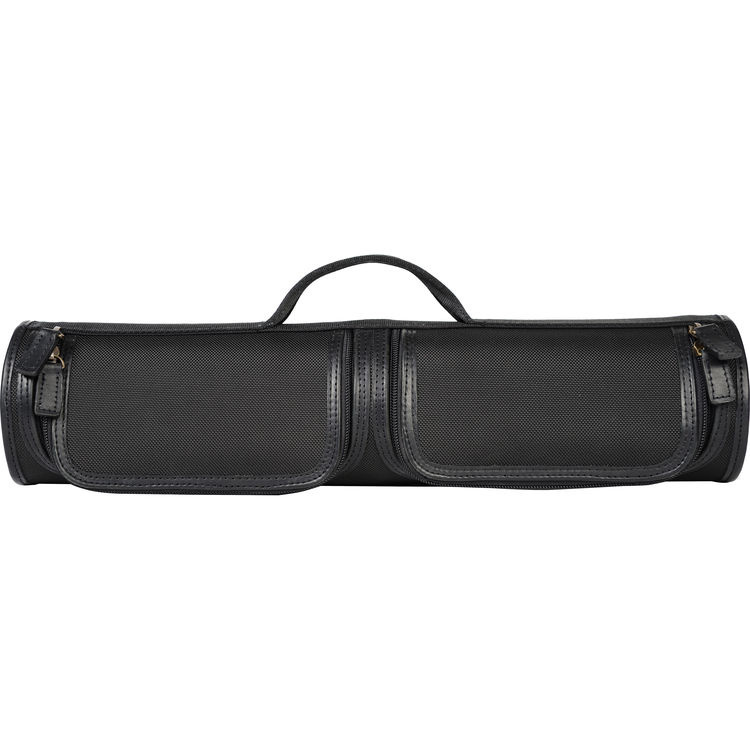 Smaller, leather Ona shoulder bags such as the Bowery or even the more affordable and intriguing Beacon lens case could make great gifts. Alternatively, bags, as well as accessories from companies like Peak Design, LowePro, and ThinkTank that do it all, aren’t bad ways to go, either. My some of my personal favorites are the Everyday line of bags and as well as straps from Peak Design, the ProTactic line from LowePro, and the roller bags from Think Tank. It’s never a bad idea to give someone a taste of some great gear. Borrow Lenses and Lens Rentals both have options for gift certificates and are the top two gear rental companies in the country. Film Objektiv (disclaimer, this is my company) also has gift certificates and rents film cameras that many rental houses simply no longer rent. It might seem a bit much to suggest an entire camera as a gift. But there are some cameras out there we would never buy for ourselves, but that can still be pretty neat. 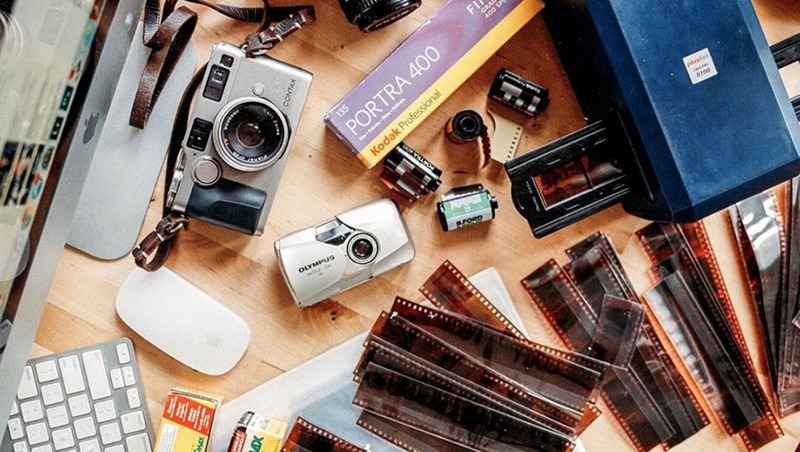 Instant cameras and cheaper film cameras are both affordable options that could give your photographer friend a neat experience that he or she doesn't get every day. Have other ideas or favorite gifts for photographers? Share them with us! We'll keep this updated with new finds along the way. Thumbs up on the film suggestions and also the rental suggestion.